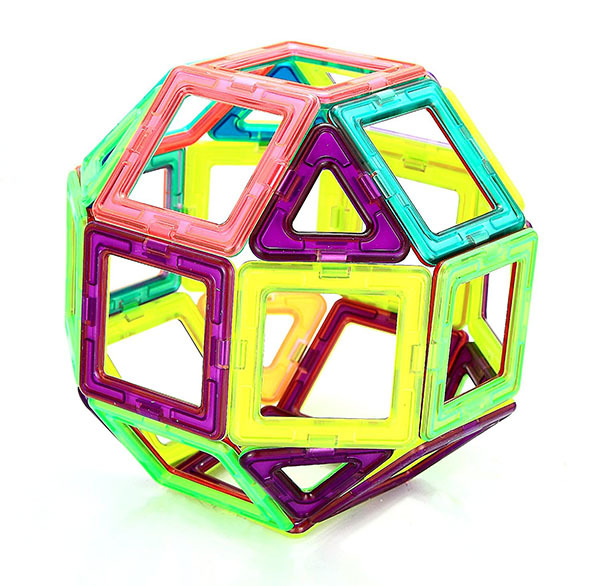 Magnetic building toys have become one of the hottest toys on the market now. Some have holes in the middle, some are larger and some come in more different shapes than others. Which ones should you get? We decided to do the research for you. Best magnetic building toy for gradeschoolers (7-12 years). Toddler play is characterized by the need to explore the toy using the mouth and fingers. Choking on small pieces is a risk but toddlers also still lack the ability to control objects with their hands. Because of this, the toy cannot be too small, too heavy or too big. When choosing the best magnetic building toy for a toddler, we took the above factors into consideration and this is our top pick. Magnetic building toys are generally not a common toy for toddlers. Most of the other magnetic building toys on the market are either not BPA-free or have pieces that are still too difficult for toddlers to hold properly and manipulate. We were really happy that Guidecraft Grippies Builders 20 Piece Set were created especially for toddlers. The set comes with 20 pieces which are made up of 8 short rods (about 3 inches) and 4 long rods (about 5 inches) and 8 balls. The pieces are created to be big enough so that they don’t pose a choking hazard and yet small enough that your toddler can hold them. The rods have a nice, soft, rubber exterior with different textures on each piece to promote tactile development. Because they are made of soft rubber on the outside, they are also less likely to do damage when thrown about. This set is not cheap for the number of pieces that it comes with but each piece is very big and because of that, your toddler can still make an impressive structure. The quality of the pieces are also very high which means that this set will probably last for a long time. It’s not surprising that this toy was a finalist for Toy of the Year 2017. 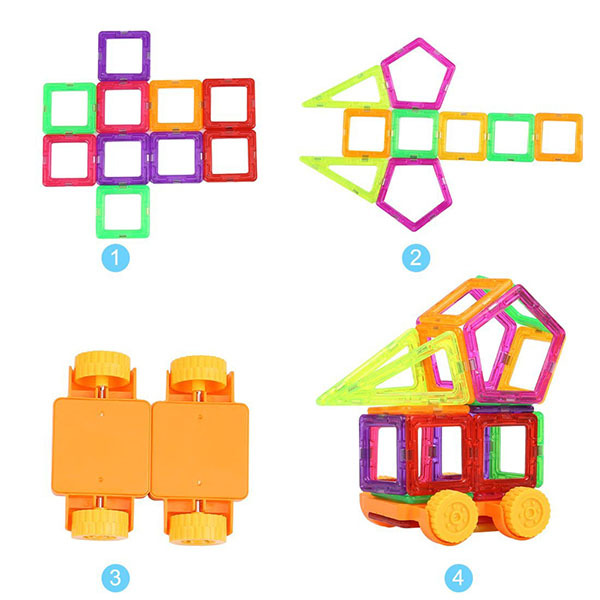 If you want to get your toddler started with magnetic building toys, this is the set to get! Preschoolers and kindergarten kids have more developed hand and finger control and are able to engage in arts and crafts. Some can even use specially-designed safety scissors. At this age, their creativity starts to reveal itself in the things that they build. They also are learning to count. Since their brains are still developing and their attention span is still not very long, highly interesting shapes and attractive colors to pieces are a plus. If the set comes with unique pieces (such as wheels) that will extend the variability of building, that’s also a bonus. Since preschoolers and kindergarten kids can also start to follow instructions, a manual with building ideas is also appreciated to extend their thinking. The magnets should be strong enough to hold a structure together but yet not so strong that preschoolers and kindergarten kids would it hard to pull these pieces apart. As preschoolers and kindergarten kids can still be slightly clumsy with toys, a set that has durable pieces would be preferred. A set that is also designed to reduce injuries (such as rounded ends) is a good idea. Although they are less likely to do so, preschoolers may still be constantly placing objects in their mouth and the exterior coating of the pieces need to be safe. 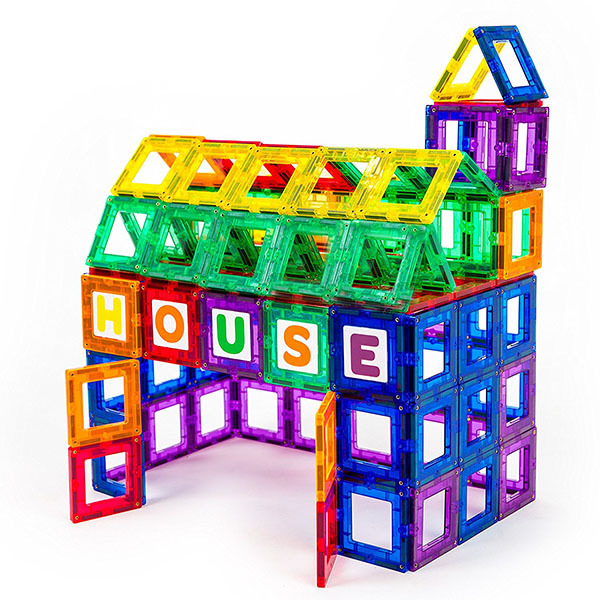 When choosing the best magnetic building toy for preschoolers and kindergarten kids, we took the above factors into consideration and these are our top picks. We like the Packfun Magnetic Building Blocks because it not only comes with magnetic shapes, it also comes with alphabets and numbers! This is, of course, perfect for preschoolers and kindergarten kids who are in the process of learning these. 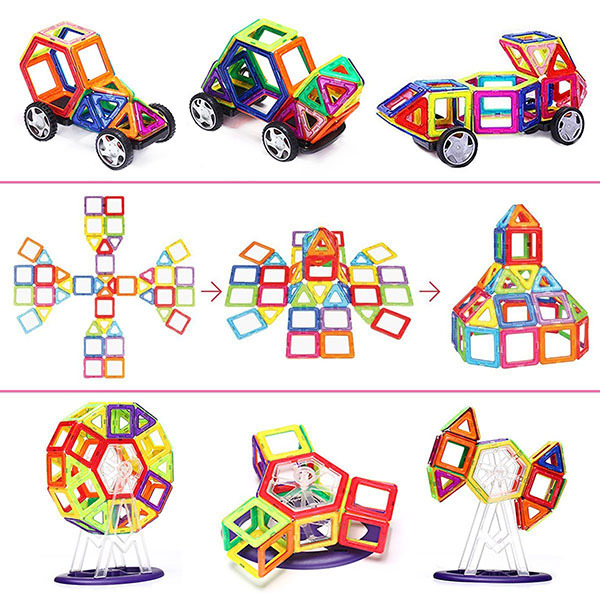 On top of this, this set also has 2 pairs of wheels so that your child can create cool looking vehicles. It also provides a manual with building ideas. 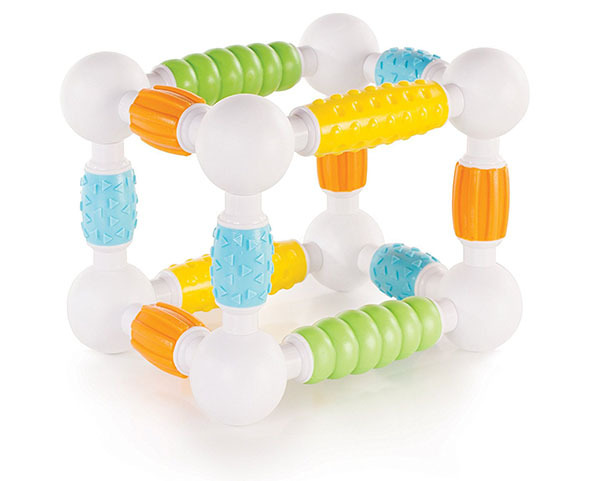 Compared to some other magnetic building toys, this set is great for fingers that are not totally in control yet as they have holes in the middle that make it easier for tiny fingers to hold the pieces. We think the Packfun Magnetic Building Blocks is the best value for money for the things that they provide. Also, last but not least, if things go wrong, they offer a 1-year replacement or refund warranty on their product. 1 year is a long time compared to many other brands that only offer a guarantee for a shorter period of time. The Playmags Magnetic Set was the winner of the Dr. Toys 2013 award. This set is admittedly a little bit on the expensive side for the number of tiles that you get but the great thing about this set is that you can create some truly awe-inspiring buildings and structures. The Playmags-Magnetic-Set has beautiful colors (like stained glass) and can be used in two different ways- holed or complete with cards placed in them. This makes them suitable for play for a wider range of capabilities. If your child is younger and still unable to grasp a whole tile properly, leaving the cards out will make it easier for your child to use these tiles. If your child is able to grasp a whole tile, you can put the cards in. This dual-option will also extend the kind of things your child can build. We like that you can use this set to teach your preschooler and kindergartener their ABCs and numbers. One downside is that the ABC and number click-ins are not magnetized so you are only getting 40 magnetic tiles. But this truly is a beautiful-looking set with engaging colors for this age group and the dual-option of cards or without cards makes this set versatile enough for younger to older kids. At this age, gradeschoolers reveal their developing desire for independence from their parents. Friendships are important and their friend’s thoughts about them start to matter. Peer pressure also starts to build. They are also starting to think more about their future and their own place in the world. This is the time for building dreams and goals. Unlike younger kids, gradeschoolers are able to handle total responsibility for the care of toys and so, the durability of the toy is probably not as big a concern as the ability of the toy to create cool, varied and amazing things. To reduce limitations on what your gradeschooler can build, you want to give your gradeschooler a decent amount of pieces to play with. If your gradeschooler will be having friends over, the toy will likely also be shared around and a number of pieces they have available to them to play will matter. You probably want to aim to get as many pieces as you can for the money that you have. When choosing the best magnetic building toy for gradeschoolers, we took the above factors into consideration and these are our top picks. For the ultimate play experience, we suggest that you get all and mix and match them to provide your child with a variety of shapes and tiles to play with. We like this set because it comes with a few extra parts that some other sets don’t have- the stand to create a Ferris wheel. The downside to this is that not all of the 116 pieces in this set are magnetic. But it is still great value for money for the pieces that are magnetic alone. This set has been classroom tested by the Global Educator Institute Toy and is also a recipient of Purdue University’s Thinking and Design Award so you can rest easy that quality is top-notch. There is also a 30-day 100% return guarantee with no questions asked if you are dissatisfied with the product. The Playmags 118 Piece Set colors are again similar to stained glass and the pieces are pretty solid and heavy. As you can see, this set has a few interesting pieces that most other sets don’t have such as the windows and longer triangles. It has the awesome same benefits as the other Playmags set for the preschoolers and kindergarteners but in this set, the letters are mainly for fun as it only comes with 13 ABC card click-ins and no numbers. 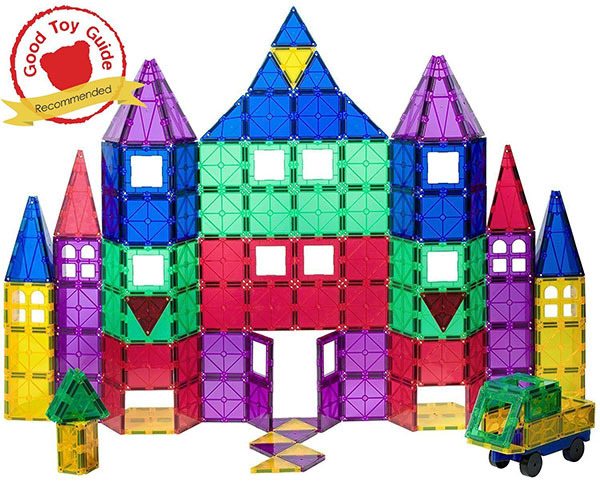 Nevertheless, this set has a decent amount of pieces for your gradeschooler to create something truly magnificent like a castle. 1 manual with building ideas. As you can see, you get a lot for the price that you pay. The set includes proper pieces for your kid to build a proper Ferris wheel too. This set also comes with letters and math symbols so that you can use the set to help your gradeschooler with math. This set also comes with 1-year warranty and a 30-day return guarantee. Of course, magnetic building toys are not just for kids, it can be highly addictive for adults too. You have been warned!